Today I have Altered a Trinket Box. I took a hexagon shaped MDF box. First I put Gesso on the base and all sides of the box. After it dried I smoothed it with sand paper. Then I mixed 3 acrylic colors ( Green, Yellow and White) and painted all over the box. Heat dried it. Then again with the sand paper I smoothed the surface and the sides of the box. Now my base was ready. I took a napkin , cut it into randomly according to the design. with the help of the Mod Podge I stuck the printed napkin all over the box..
with quilled Green scrolls,Prima Pearl swirls and few metal charms. Also added a tiny glass bottle with little pearls in it. Stuck a SUNSHINE sentiment and 2 butterfly die cut from Kaisercraft. Finally added Pearls all round the top of the hexagon box . 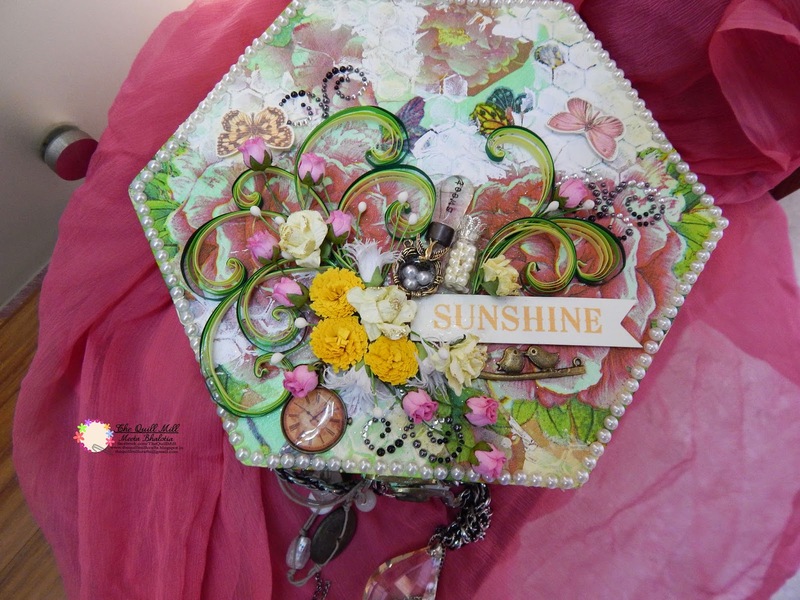 Hope you have liked my little attempt on Altered/ Mixed Media Box. Wonderful alteration. So colorful! Thanks for playing with us at TIOT challenge. 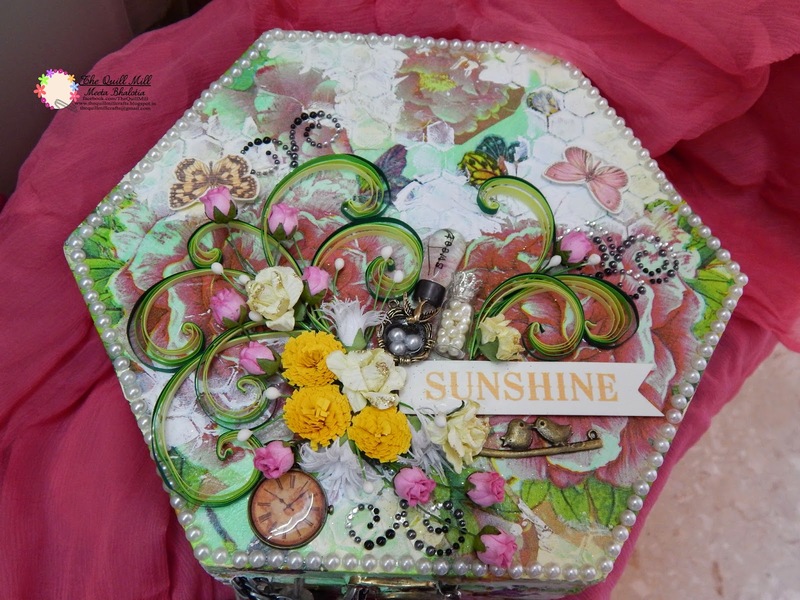 A beautiful box alteration Meeta! Wow! Super gorgeous project!!! 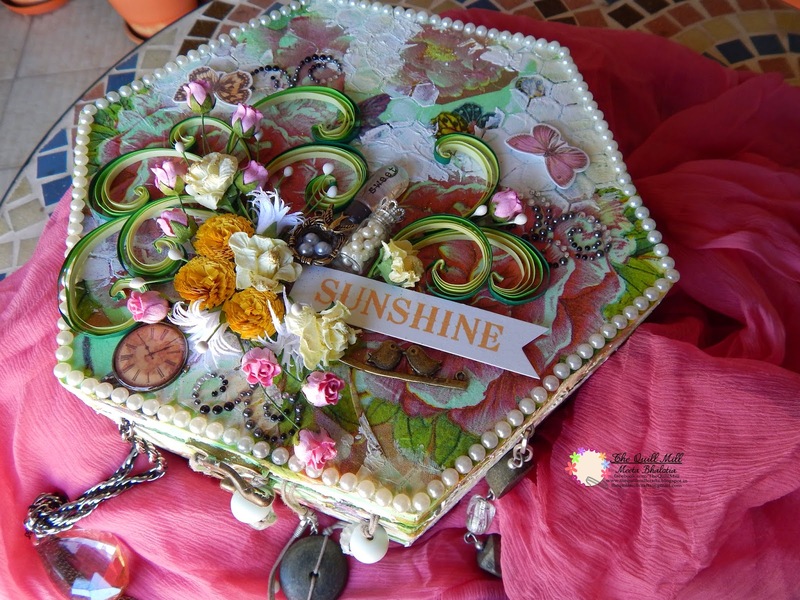 Love how you have embellish it and the pretty colors. It looks sooooo beautiful !! Me again Meeta! Thank you for linking it to Moo Mania & More CHallenge! Great to have you with us there! Hey Susi! good to you here again. 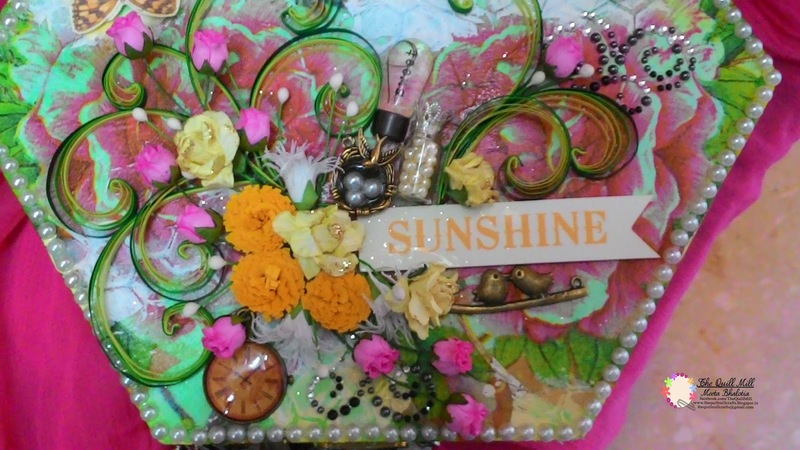 A fabulous Trinket Box, absolutely beautiful. Thank you for joining us Ooh La La Creations. Just visited your blog. Yummy Candy you are offering. 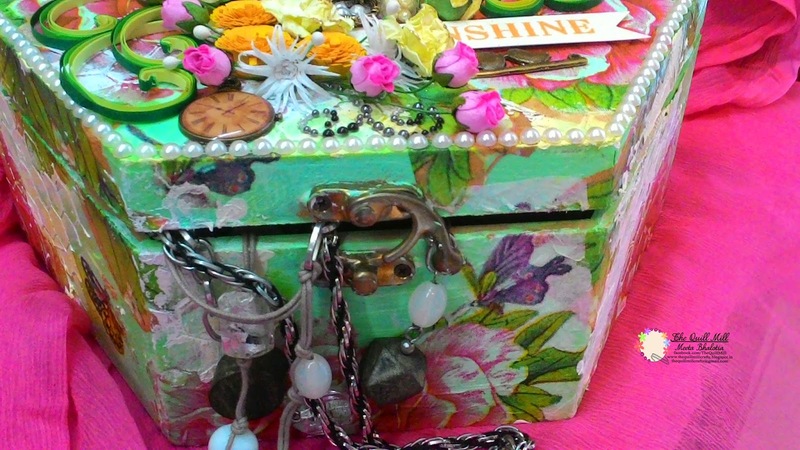 Breathtaking Trinket Box...so full of spring and delight. Thanks for joining us on Art with Heart Challenge. Wow! Amazing box. So many details!